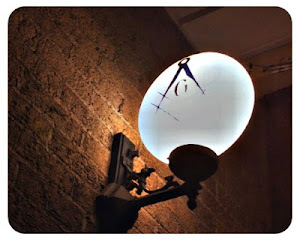 I meet a lot of interesting people through my books, and as a result of The Midnight Freemason blog--most of these friends I've never actually met face to face. I made a new friend from New Jersey this week--WB Cory Sigler. I actually met him on Twitter (just about the time I was beginning to think everyone on there was nuts) and wound up talking to him on the phone the other day. WB Sigler is the editor of The Working Tools Masonic Magazine which publishes monthly. Take a few minutes and have a look--you can view all the past issues online at the link above. He offers a great mix a materials. He's done an excellent job at offering a little something for everyone. I've really been enjoying it--it's not a newsletter, it's a magazine, and I'd estimate the monthly average is about sixty pages. I'm slowly working my way through the past issues. He does interviews, he has guest writers, profiles famous Freemasons (maybe that's something I ought to look into doing one day), and the magazine even reviews books and highlights interesting websites on the topic of Freemasonry. Whether you're looking for deep meaning, or light reading, you'll find something that appeals to you in every issue. And if you enjoy it, you'll have plenty to read for a long time--I believe he's published forty-eight issues thus far. And of course there's a reason we were talking. 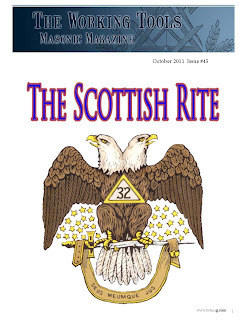 Cory has asked me to submit an article to The Working Tools Masonic Magazine. I'm really looking forward to it, and it will give me something to work on over the holidays for my new friend and Brother in New Jersey. And don't worry, there will be no possible way I'll let you miss it when it comes out. For that matter, I don't think there's any way Cory will let you miss it either . . . he's everywhere!